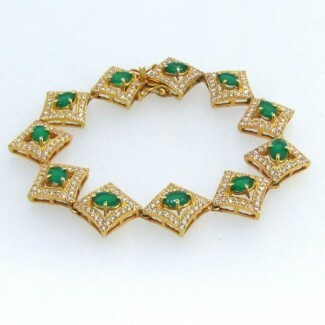 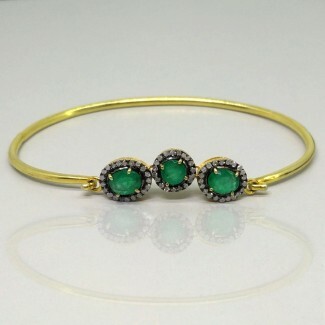 This Vintage Style Yellow Gold and Black Rhodium Polished 925 Silver Bracelet is set with Oval Shaped Emerald and Diamonds. 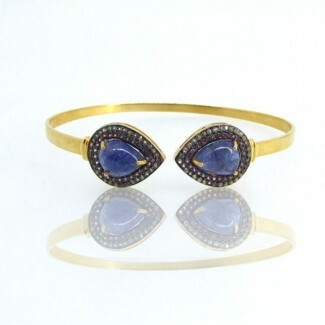 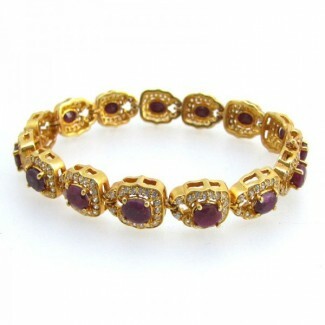 This Vintage Style Yellow Gold and Black Rhodium Polished 925 Sterling Silver Bracelet is set with Pear Shape Tanzanite and Rhodolite-White Topaz. 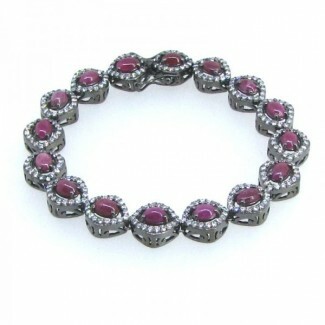 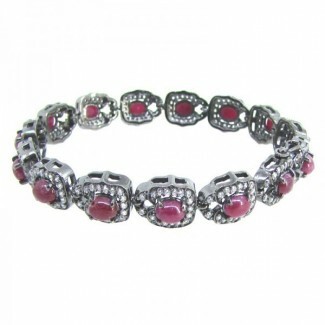 This Classic Style and Black Rhodium Polished 925 Sterling Silver Bracelet is set with Oval Shape Ruby and Diamond White CZ. 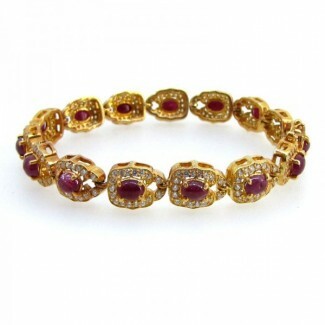 This Classic Style Yellow Gold and Rhodium Polished 925 Sterling Silver Bracelet is set with Oval Shape Ruby and Diamond White CZ. 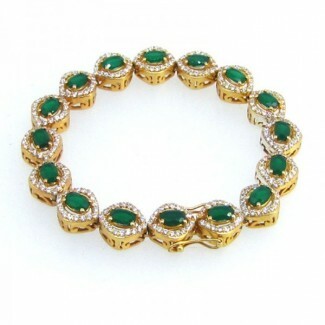 This Classic Style Yellow Gold and Rhodium Polished 925 Sterling Silver Bracelet is set with Oval Shape Green Onyx and Diamond White CZ. 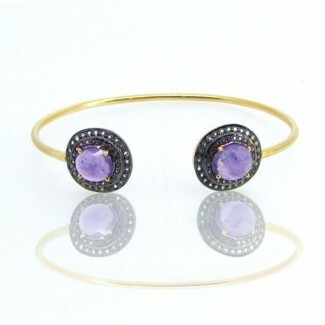 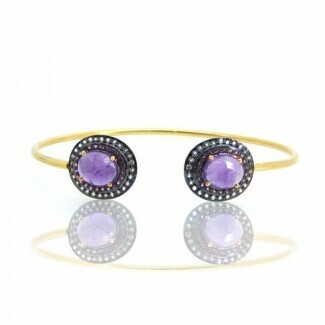 This Vintage Style Yellow Gold and Black Rhodium Polished 925 Sterling Silver Bracelet is set with Oval Shape African Amethyst and Rhodolite-White Topaz.